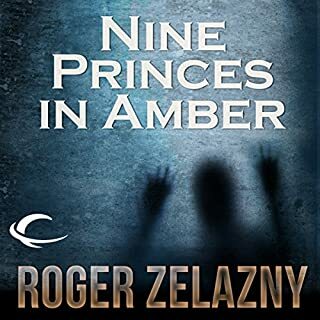 Accepting the responsibilities as ruler to the world of Amber, Corwin finds himself the target of sibling treachery, and must seek guidance in a land of visions, where a sinister prediction foretells his doom. 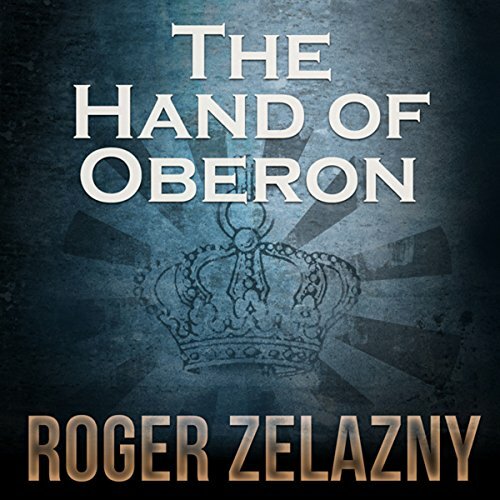 The Hand of Oberon is the fourth book of The Chronicles of Amber; an epic fantasy series written by six-time Hugo Award winning and three-time Nebula Award winning author, Roger Zelazny. 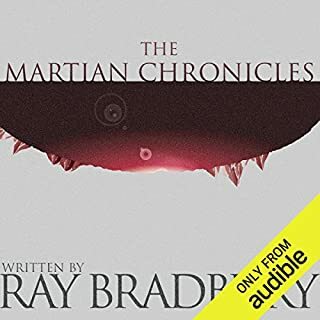 The Audible audio rendition of this classic sci-fi/fantasy series is started off by 2012 Audie Award nominee, Alessandro Juliani, who reads the first five books that make up the Corwin Cycle and whose narration vividly brings the world of Amber to life. 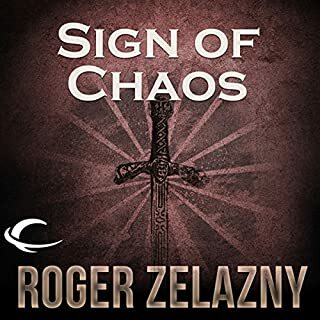 ©1976 Roger Zelazny (P)2012 Audible, Inc. The Amber Chronicles are fast-moving and much of the character development happens through what characters do and say, not with interior monologs. This makes it fast-paced and engaging. After this book I switched over to reading a paper 10-book volume of the whole thing because I just couldn't rationalize continuing to spend so much on each individual section. The paper ten-volume tome was the about same price as a single audio book. Too bad, because I liked the narrator. There should be a bundle discount or something. To round out my commitment to a friend, I'll read the first five (The Corwin Cycle). I just can't see myself finishing all 10. I'm just not a fantasy guy I guess. I've been waiting for a book in this series to signal to ME what others get. 'The Hand of Oberon', book four, is NOT that signal. I'm doubting any can be heard by me. The dialogue doesn't work for me, the narrative seems forced. It is like dancing with a woman significantly taller (theoretical) or shorter than me. The timing is off. There is no match. And, if I found one, I might set myself on fire. The reader makes the book far more immersive. 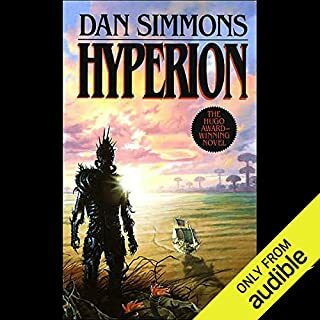 This guy makes the books completely immersive with solid voice acting. I hope you're paying him well, because he seriously raises the bar on what to expect or desire from a book reading. 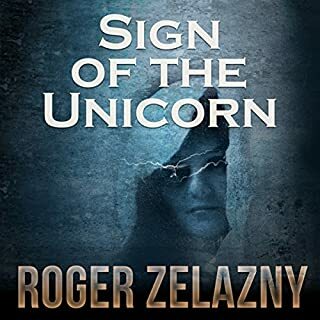 The Hand of Oberon, the fourth book in Roger Zelazny’s CHRONICLES OF AMBER, continues exactly where the previous book, Sign of the Unicorn, left off. The story was originally serialized in Galaxy Science Fiction and later printed in approximately 180-page installments. Each, therefore, is short and ends at some dramatic moment. These days, we’d probably be annoyed with an author who did this (why buy 10 books when you could just buy two?). For those of you who feel this way, there is an omnibus edition of THE CHRONICLES OF AMBER — I read it years ago — but it’s a bit unwieldy. 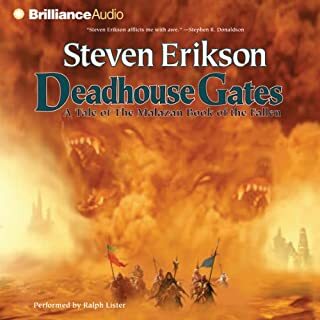 If you want to listen to the excellent audio versions narrated by Alessandro Juliani, as I’m doing, you’ll need to buy them separately. The ten-book series is divided into two five-book arcs, THE CORWIN CYCLE and THE MERLIN CYCLE, so you’re really only committing to five books if you start the series. You can just read THE CORWIN CYCLE (which I think is better) and decide later if you want to move on to the second arc. In The Hand of Oberon, Corwin has just discovered that the pattern in Amber is not the first pattern. There is a primal pattern, which means that Amber is actually just the first shadow world. The primal pattern has been damaged because someone has spilled royal blood on it. This is allowing the forces of Chaos to enter Amber. Who has done this? Why? And who was the sacrifice? Most importantly, how can the pattern be fixed and is Corwin willing to do what it takes to save Amber from the forces of Chaos? And can he do it before one of his siblings ruins everything? As with the previous book, there’s a lot of revelation here about Corwin’s family, Dworkin the mage, the Jewel of Judgment, and the metaphysics of Amber, Chaos, and Shadow. Corwin also discovers that he has another disgruntled relative that he didn’t know about before. I’m still disappointed that we’re told how much Corwin loves Amber, but we, as readers, can’t empathize because all we know of Amber is Corwin’s horrible family. 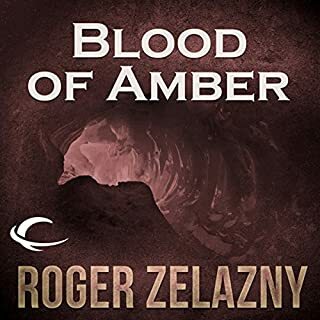 I want to love Amber, too, but Zelazny doesn’t really give me a reason to love it. The Hand of Oberon moves very fast and ends with another big twist. This twist completely astonishes Corwin, but the reader may see it coming. Corwin does seem just a little dense occasionally, but he’s so harried in this installment that I’m willing to cut him some slack and assume he had no time to sit and think. 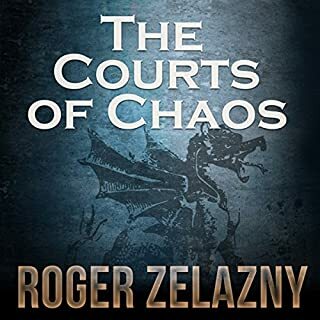 Most readers will want to have the next book, The Courts of Chaos, on hand. Pay attention to the dungeon scene. 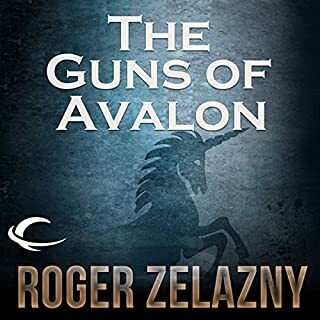 Roger Zelazny makes a cameo appearance as a novel-writing guard named Roger. 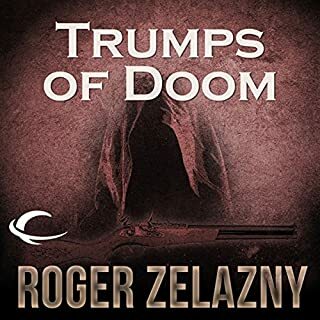 Zelazny was a genius. And A. Juliani's performance is fantastic. His voices are consistent, and he manages to produce Random and Brand so different that I find it hard to believe that its the same narrator. amazing job. great book wow reccomend it for 100% and great reading skills of Alexander Juliani. . Very short review: this is the best in the series so far as a lot is explained. 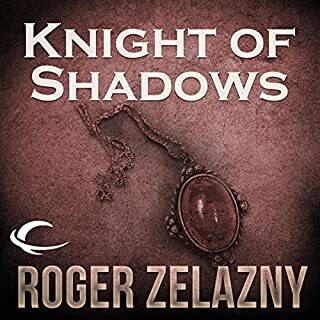 It's still quite a lot of hocus-pocus magic bit Zelazny's writing and Allesandro's voice make it very believable. This is very good story-writing and brings my mind to Stephen King, a master storyteller though his endings are always poorly written. 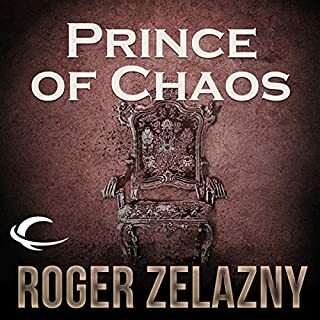 I do hope Zelazny does a better job with his ending and has a great finale in store for me in the last book. This storytelling is what I miss in another book I read: the Name of the Wind, by Patrick Rothfuss. Equally stuffed with over-the-top magic but poorly written and with some twists that make my ears bleed (not eyes as I listen to books rather than reading them). enjoyed the performance very much. well written and well read. I am looking forward to the next.